Appeal to Harry Porter for help. Make a movie called Cultural Learnings of Baghdad for Make Benefit Glorious Nation of America. 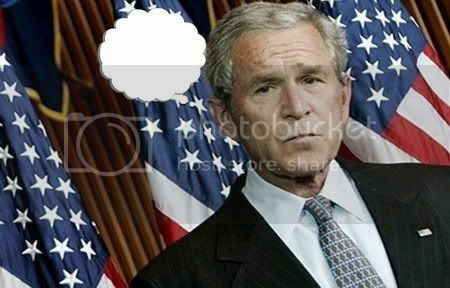 Five words: My Name is Optimus Bush. Step one: Learn how to make balloon animals. Step two: lower voting age to 3. At press conferences, respond to every question by pumping his fist and screaming, "BUSH IT! BUSH IT"